When it’s time to get up and go with baby, buybuy BABY has an impressive line-up of car seats and strollers designed to make travel as easy as possible, convenient and safe. Discover baby car seats for all ages and sizes, from infant seats to versatile convertible car seats that grow with your child, to booster seats for older kids. buybuy BABY carries baby strollers to suit your needs and lifestyle: jogging strollers, lightweight strollers, double and triple strollers and many more. You can also check out ultra-convenient baby travel systems - a car seat/stroller combo - that take the hassle out of transitioning from car to stroller. You’ll find all the trusted and respected brands that are the authorities in baby travel gear. 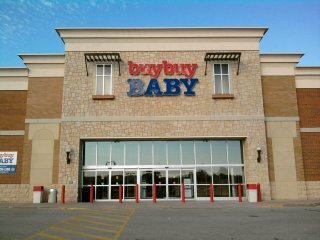 And when you shop buybuy BABY, you can rely on friendly, knowledgeable associates to help you find the car seat and stroller that are just right for you.